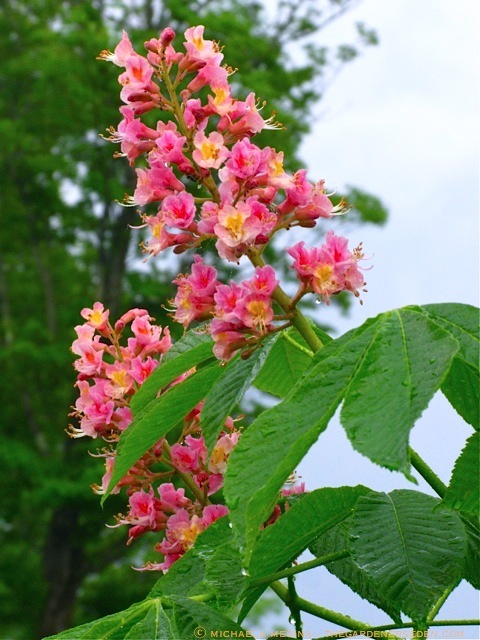 § 9 Responses to Pretty in Pink: The Red Horse Chestnut, Aesculus x carnea ‘Fort McNair’ …"
Wow, what a showy tree. Do the leaves scorch in late summer the way the big horse chestnuts do? This is a really pretty tree in bloom! 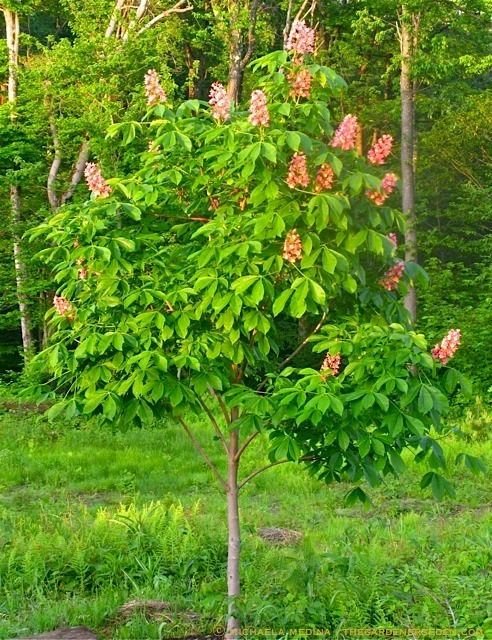 @ Laurie, The red horsechestnuts are also prone to the same blight. However, this particular cultivar is known for fungal resistant foliage (one of the reasons I chose it). The other issue with this tree is aphids and ant-farming of aphids. I solve that problem with sticky tape at the bottom of the tree. Once lady bug larvae emerge in spring, they take care of the aphids. I love this cultivar and think the leaves are lovely throughout summer. Planting in a well-drained but moist site also helps. I am quite fond of horsechestnut trees in general. Lovely plant! Wish it would grow here! Our water here has killed every tree I’ve tried to plant! Also, wish I could read your posts better! Light gray text on white is nearly invisible to some of us!! @ Debbie, Yes it is a beautiful tree. I’m sorry to hear about your water troubles. I’m also sorry to hear that you are having trouble reading the text. I switched to gray because a few people complained about the black being to harsh against the white! Various browsers read the colored fonts differently. I’m experimenting with what works best in Safari, Firefox and Chrome and the range is surprising to me. I thank you for your feedback! Hopefully, I’ll end up with something that the majority of people can comfortably read. I don’t want to strain your eyes! Handsome tree! Am I right in thinking that this cultivar does not set fruit? Wow a little colour sure goes a long way to showing off the blossom’s form, doesn’t it? Can’t say that I’ve ever really LOOKED at a Chestnut in bloom before, but now I wonder if they’re perhaps related to the Catalpa? I have just recently fallen in love with this tree after traveling to Columbus, OH where there is an abundance of red horsechestnuts! I would like to purchase one for my yard. Any ideas where I could find one? I live in Chittenden County and have not yet found a nursery that carries them. Would love to buy local if possible. @ Ingrid – I share your love! I purchased my Red Horse Chestnut at Walker Farm in Dummerston, Vermont. 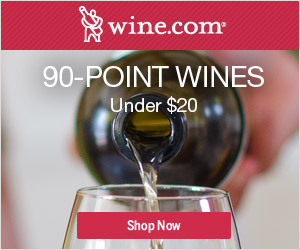 I believe they had some in stock when I last checked. You may want to call ahead to be certain, before making the drive. 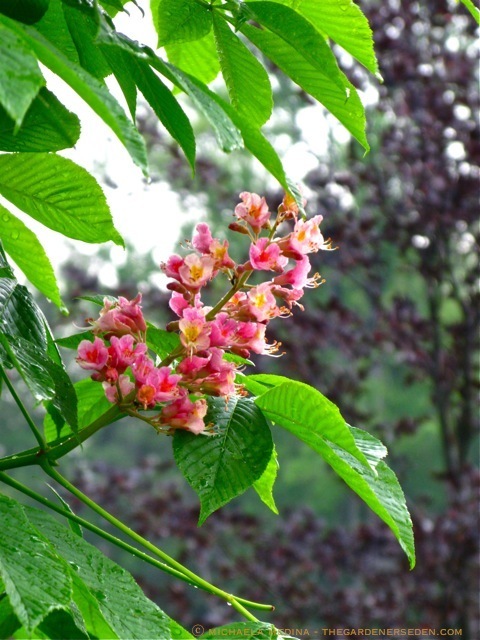 You are currently reading Pretty in Pink: The Red Horse Chestnut, Aesculus x carnea ‘Fort McNair’ … at The Gardener's Eden.